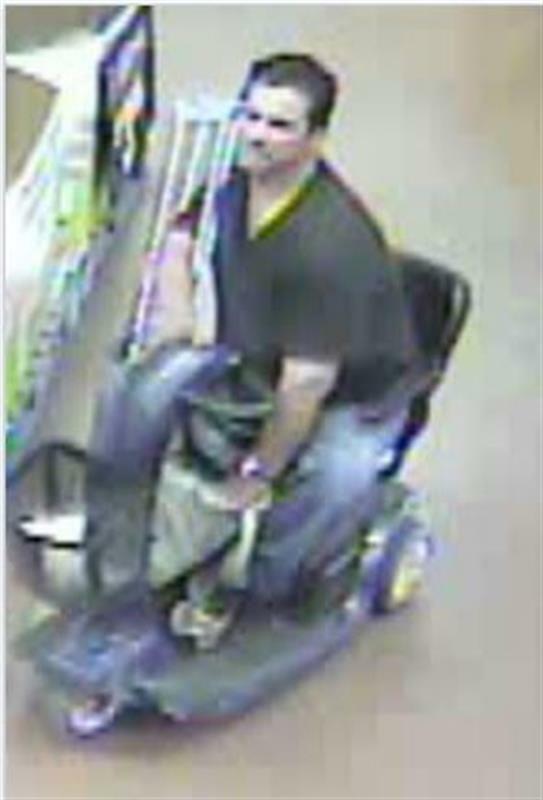 The Pima County Sheriff’s Department in Tucson, AZ, is searching for a man riding an electric scooter after he left a Walmart Neighborhood store not once, but twice without paying for merchandise. Authorities say in a news release they were called to the Walmart store on July 3 after staff noticed a man place items in the basket of his gray scooter and then try to leave the store without paying. When an employee tried to prevent the man from leaving the store, he allegedly pinned her to the wall with the scooter. While two bystanders assisted in freeing the woman, the man was able to leave the store on the scooter. He was last seen riding off into the sunset (we don’t know this, but he was last seen driving the scooter down the road). Sheriff’s officials say the man is also a suspect in a similar theft at the same Walmart the day before. • Aug. 2014: The New Mexico man who was sent back to prison after driving a stolen Walmart scooter to his meeting with his probation officer. • July 2012: The Louisiana man charged with a DUI for driving a Walmart scooter down a public street with a blood-alcohol level nearly twice the legal limit. Oh yeah, he was also towing a friend seated in a wheelchair. • Sept. 2011: The woman in upstate New York who “borrowed” a Walmart scooter for her personal use… for 11 days.